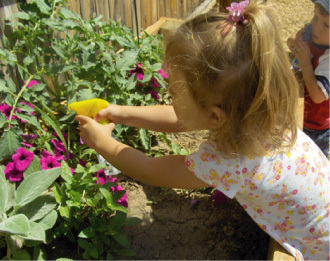 At Children's Garden we are dedicated to nurturing and educating young children in a challenging, stimulating environment. Developmentally appropriate programs and a staff of dedicated teachers ensure a positive learning experience for your child. 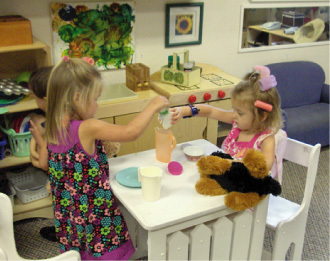 The toddler classroom is a busy place, bustling with engaging activity. The children learn by exploring the carefully chosen materials and the well-prepared environment. Children may choose to explore materials for art, sensory, building, reading, and pretend play during our “open centers” time. Our teachers serve as facilitators and guides in the classroom to assist the child in mastering their area of concentration. 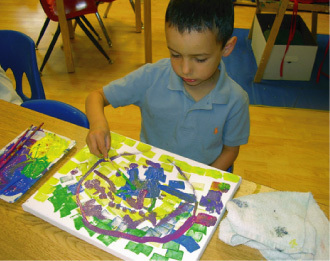 This can be introducing more materials in the block area to expand the children’s imagination or giving a child space to experience the painting easel for a longer period of time as they realize mixing colors creates new colors. Our teachers understand the importance of taking advantage of the “a-ha” moments and encourage them as much as possible. 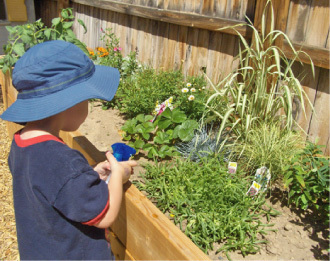 Children’s Garden’s educational process begins in the one-year-old classroom. The first three years of life are arguably the most important for language and cognitive development. To support and encourage this growth, it is important that your child feel safe and cared for at school. Our teachers set attainable goals and expect the unexpected, even the occasional tantrum. Through it all, they are patient and loving with every child. Toddlers have unique needs, so we have developed a program specific to their requirements. 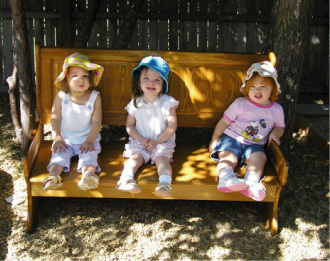 Since many children’s first school experience is in our toddler program, group settings are unfamiliar to them. We help them adjust to the school environment and introduce them to sharing, potty training, following instructions and a consistent schedule. 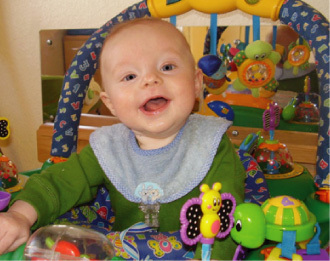 Weekly lesson plans in the toddler room are filled with age-appropriate, sensory-centered activities. From playing with “Clean Mud” and fingerpaint to singing, clapping and jumping to their favorite songs, simple “playing” is turned into genuine learning. As the teachers encourage the children to explore and learn, they build self confidence which leads to academic success. This group of children will often be presented with activities that utilize movement, sound, touch, and lots of conversation and interaction with a teacher. Children in the 2 year old classroom will be involved in activities which teach the alphabet, numbers, colors, shapes, etc. in a less structured environment. Children 2 or more years away from Kindergarten are learning to interact with groups of children, learning to control their bodies and practicing the skills necessary to interact with peers using language to communicate their needs and desires. The 2 year old program is a fun, supportive introduction to school. Learning is drawn from various art experiences, cooking, music, dramatic play and games. Language development and socialization are the primary focus during this first formal year of schooling. All of this takes place in an environment where children feel safe and secure.